For something like the 6th year in a row I attended the Amherst Railway Society’s Big Railroad Hobby Show in West Springfield, MA. 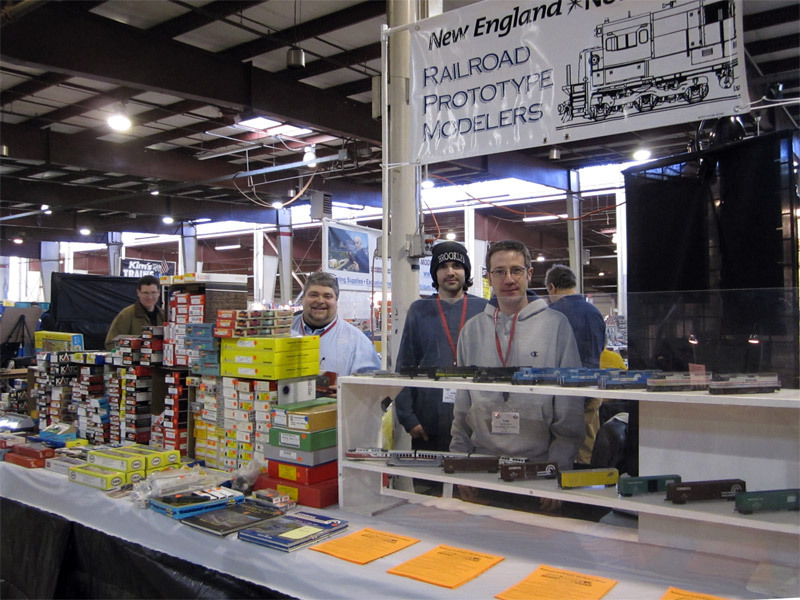 Again I was at the New England Railroad Prototype Modelers table showing off some models. As always I spent way too much money. It was a nice show though, we had a good location in a decent, somewhat quiet corner of the Mallory Complex. Continue reading to see some of the models I had on display. The “B” platform from an A-Line Twin-Stack intermodal car. 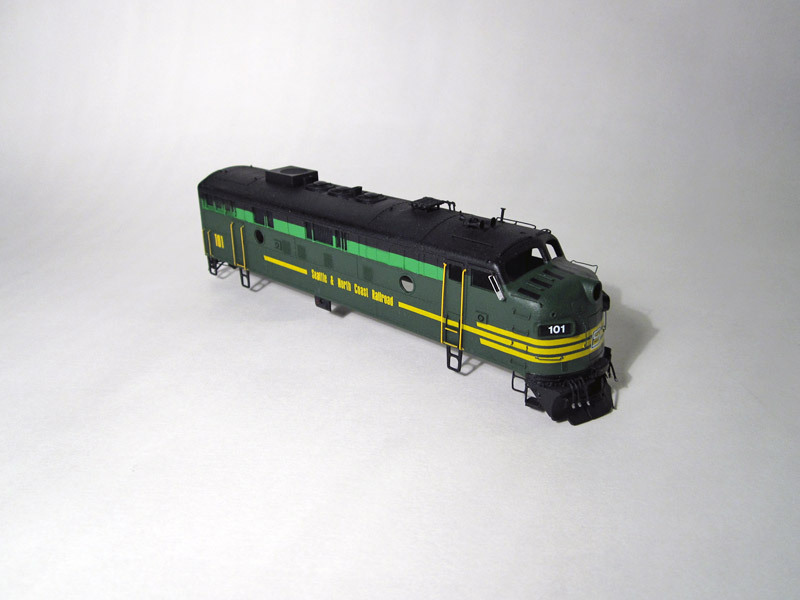 I bought two A-Line Gunderson Twin-Stack kits at the NERPM meet last year, and this platform is now complete and ready for painting. The other 4 platforms have been assembled, but still need details. These are nice kits and pretty easy to build. I’ve really enjoyed this one. The details are from an A-Line superdetailing pack, Plano, Detail Associates and a few that were scratchbuilt by me. The fully painted and decaled shell for SNCT F7A #101. At long last (after 2 years) this particular project is finally nearing completion. As you can see, the shell has been painted and decaled, and pretty much is just waiting on weathering and window glass. I’m pretty happy with it. For the most part it’s turned out the way I wanted it to, though there were some issue’s with the paint that will need to be addressed on the next model. Fortunately they’re not too serious, and weathering should hide anything I don’t like. The chassis for SNCT #101. The chassis is also done. Since this photo was taken, the motor and drive linkages have been affixed and the decoder (and ESU Loksound Select) has been programmed and is waiting to be wired in. 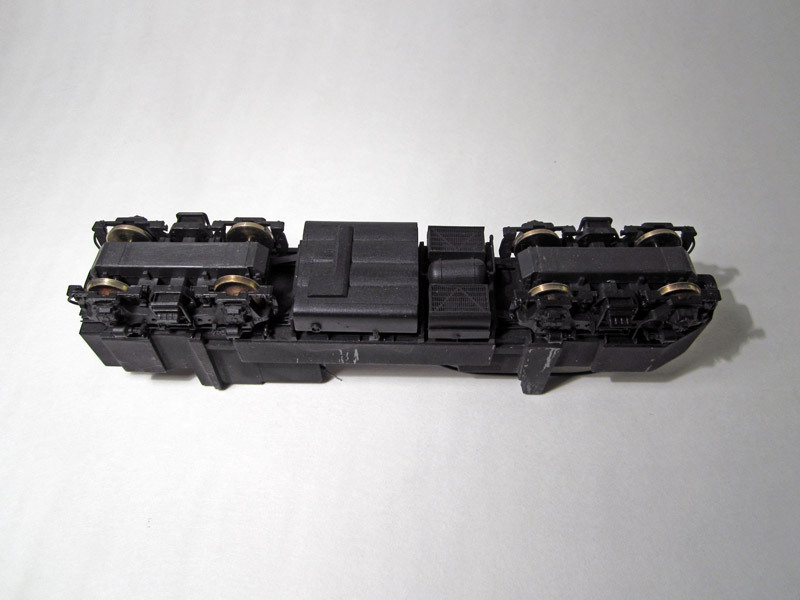 The chassis looks great, the true test will be when I finally get a chance to operate it, but I don’t see any reason why it won’t run as well as a non-modified Athearn F7. Anyway, that’s it for now. I’ve also completed my Proto:87 #10 turnout. Photo’s of that will be up in March. 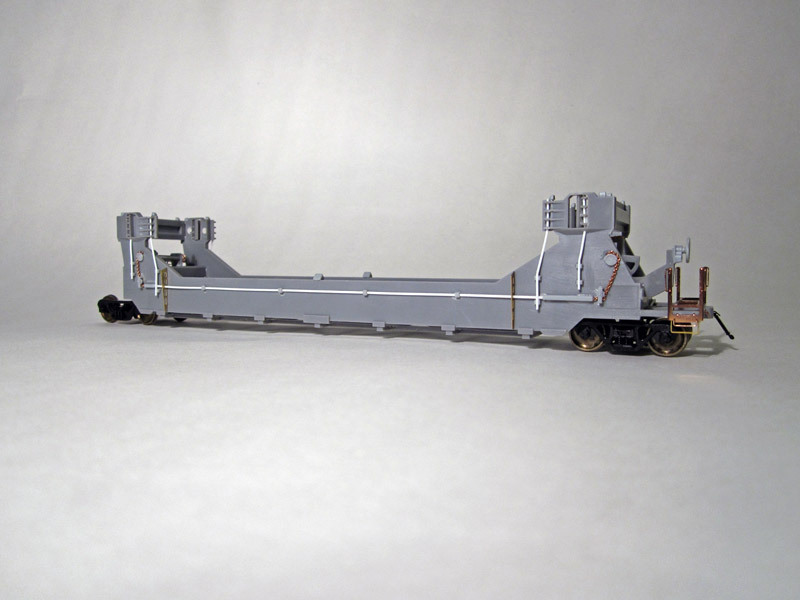 This entry was posted in Locomotives, Model Railroading, Proto:87 and tagged #101, F7A, Gunderson Twin-Stack, Model Railroading, Railroad Hobby Show by Milepost15. Bookmark the permalink.